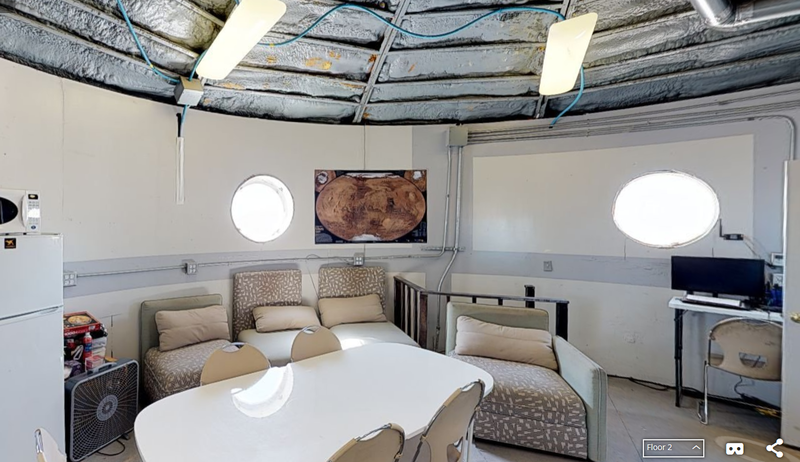 The snow from Sol 1 remains, and with temperatures plummeting last night we stay in the safety of the Hab with our EVA plans on hold for the time being. The crew is working very well together, continuing with science projects this morning and adapting plans as best possible to the weather conditions. Our Commander very kindly gave a first aid refresher followed by a delicious lunch of rice, potato and pea mix. There are no leftovers and plates barely need cleaning! In the afternoon, we had a group discussion and a welcome team building exercise. The group considered questions from one of our outreach projects – Can plants survive on Mars? How will we get water? How can we generate electricity? 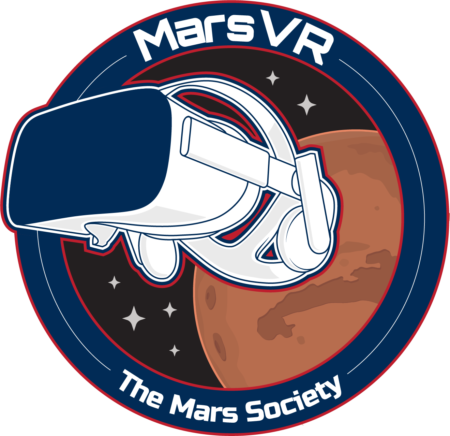 What is the best way to cover large distances and could we ever fly on Mars? What is the best way to produce our oxygen? So many questions to be answered before we can journey to and live on the Red Planet. 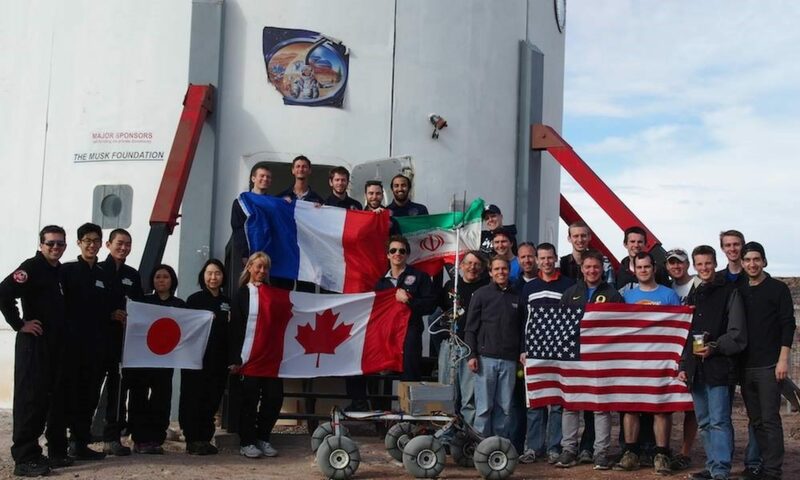 Although the weather has curtailed our EVA activities, the crew has showed great bonding in a short space of time, being patient, kind, and supporting each other. 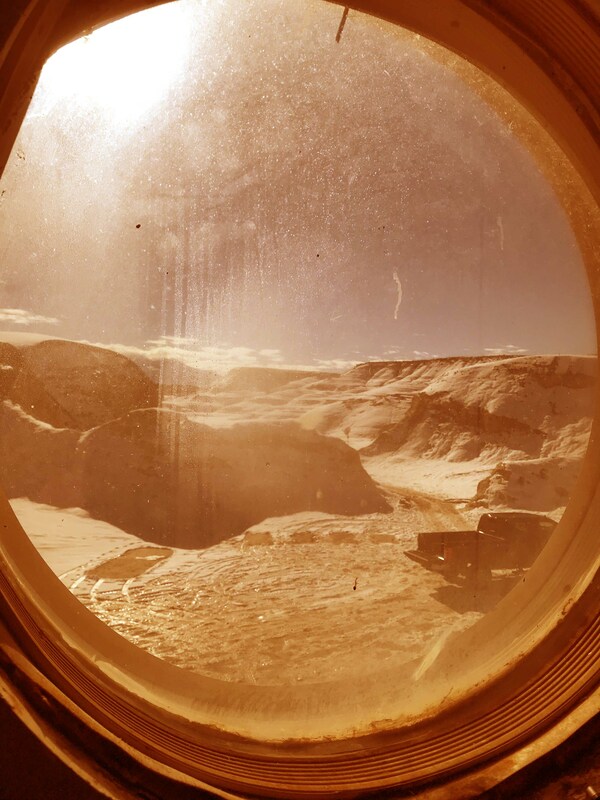 We look through the porthole – the cold conditions outside are fairly close to a spring day on the Martian equator, and think of living and working on a world so similar and so different to our own..